The Swiss central bank currently holds over $750 billion in foreign assets, with a massive portion of those based in the United States. But Swiss politicians want to bring that money back inside their borders. What will happen to the U.S. market if they succeed? First and foremost, the Swiss central bank is employing these tactics in order to weaken the franc, their national currency. And the easiest way to do that is by “printing” francs, converting them to dollars, and using those dollars to buy up foreign assets. That’s exactly what the Swiss central bank has been doing for the past several years. But the policy isn’t without consequence. 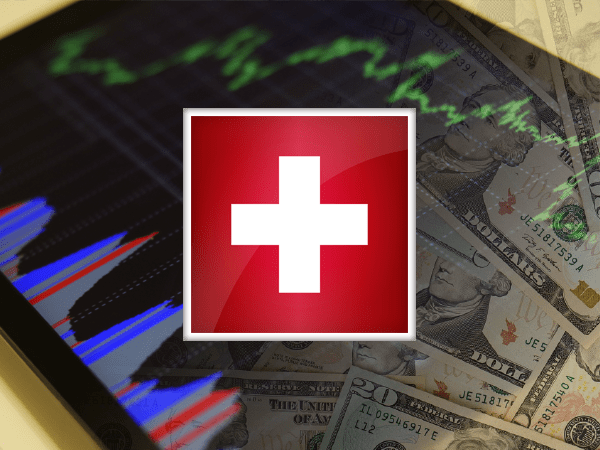 Swiss citizens and politicians are becoming increasingly frustrated as their national currency is being manipulated and invested outside the country. And internationally, there’s growing concern about the impact on global markets when the Swiss central bank begins paring down its enormous investments. So just how big is the Swiss central bank’s stake in the U.S. stock market? And how quickly is it growing? 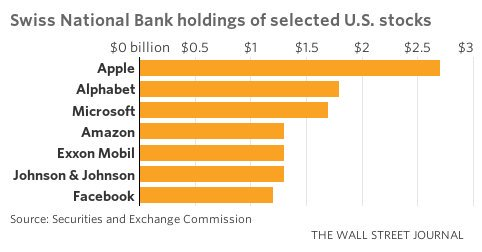 Well, as of February, the bank had amassed a new record of $63.4 billion in U.S. stock holdings. Then in July, that number grew to another new record of over $80 billion. But it doesn’t stop there. This chart only shows the Swiss central bank’s holdings above $1 billion. It also holds smaller positions in a myriad of other U.S. companies. What Happens When the Swiss Start Selling? The U.S. equities market is already grossly overvalued. And as the Swiss central bank continues loading up on U.S. stocks, it will only artificially inflate markets further. But eventually, the Swiss central bank will be forced to wind down all this buying. Swiss politicians are already putting pressure on the central bank to bring money back into their country, and to stop spending it elsewhere through foreign investments. Plus, to avoid destroying the franc entirely, Swiss central bankers will have to stop creating new money to fund U.S stock purchases. That said, even if the Swiss central bank liquidates its positions in the U.S. market slowly, it could put a painful squeeze on stocks. And with prices already heavily inflated, that selling activity may trigger a serious correction.